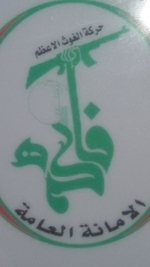 Kata'ib al-Jaysh al-Fatimi (Fatima Army Battalions) is a Shi'a militia in Iraq led by one Sayyid Firas al-'Allaq. The militia is officially the military wing of Harakat al-Ghouth al-'Adham (Greatest Aid Movement), which also calls itself Hezbollah al-Ghouth al-'Adham. 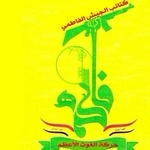 This naming, combined with the group's imagery, puts it firmly in the category of one of many Hezbollah brands in Iraq, such as Hezbollah al-Tha'irun, Hezbollah al-Abrar, and Hezbollah the Mujahideen in Iraq. The group has attempted pan-Shi'a messaging but most of its output suggests ideological alignment with Iran and its established proxies in Iraq such as the Badr Organization.